One of the most common reservations artists have with oil painting is the use of harsh chemicals like solvents and mediums. To a beginner, these additional supplies can seem overwhelming. Painting is hard enough without the added confusion of mediums and solvents. But you do not need to use additional solvents and mediums in oil painting. I will show you how in this post. 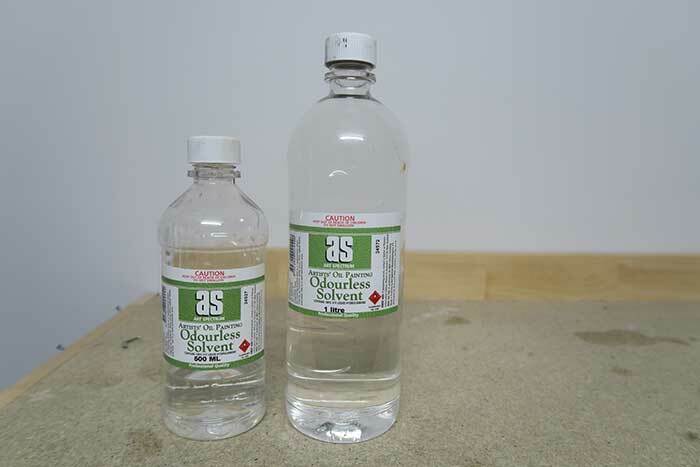 What Are Solvents And Mediums Used For? Before I go any further, I will briefly discuss the purpose of solvents and mediums in oil painting. 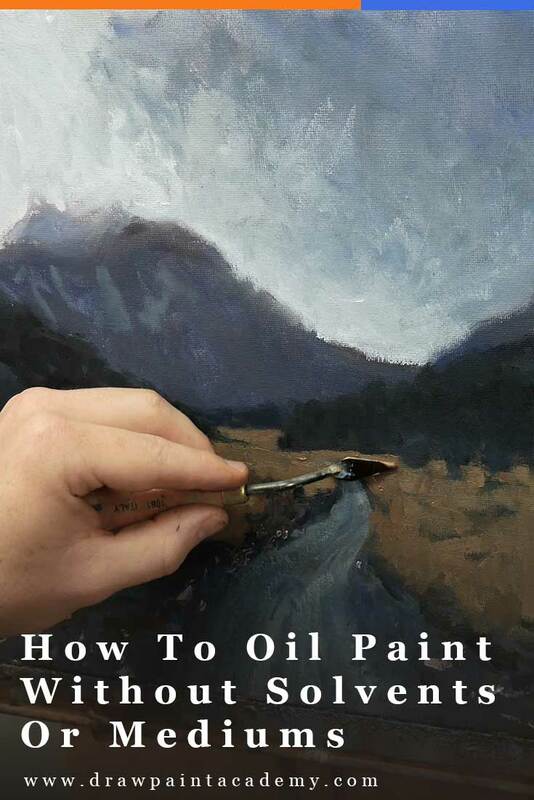 Solvents are used to break down and thin oil paint. It increases the fluidity of the paint and makes it dry faster. But, the integrity of the paint is compromised to some extent because the solvent breaks down the oil which binds the pigment together. Mediums generally refer to additional oil which you can add to the paint. Oil paint in a tube already comes with oil to bind the pigment together and by adding more oil you can increase the fluidity of the paint and slow the drying time. The paint also becomes more transparent. The most common medium in oil painting is linseed oil. Tip: You can create your own balanced medium by mixing a solvent with an oil medium. This will increase the fluidity of the paint without changing the drying time as much. With palette knife painting you do not need any solvents or mediums. It is preferable to use paint straight from the tube. You can create bold strokes of clean color. The strokes you get with a palette knife are unique and cannot be easily replicated with a brush. You can create very sharp edges to give your painting a rigid design. Tibor Nagy does this well. Palette knives are easy to clean - you just need a rag to wipe away the paint. You can quickly cover the canvas with paint. You will use a lot of paint. Brushes are much more efficient than palette knives at applying paint to canvas. There is a sacrifice in intricate detail and overall accuracy. I wrote more about palette knife painting in this post. Below is a painting I currently have in the works. I did not use the palette knife for the whole painting, but I did make use of it for adding bold and rough strokes of color to imitate nature. The paint I used had no added solvents or mediums. 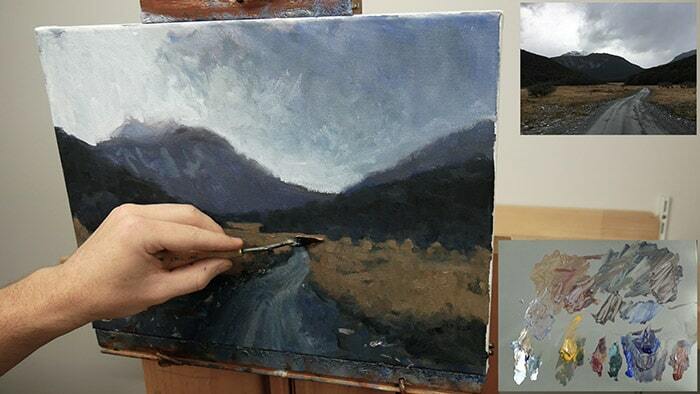 If you paint using a direct method (alla prima) then solvents and mediums are not required, though they can help. This method of painting involves placing distinct strokes of color with the intention they will remain there in the finished painting. "A stroke laid is a stroke stayed", is a phrase commonly used by artists to describe direct painting. Solvents and mediums are not necessary for direct painting as you do not need to worry as much about altering the drying time of your paint. It is more effective to use paint straight from the tube when paint is in its strongest form. As soon as you add solvents and mediums you start to compromise the integrity of the paint. On the other hand, if you are using a layering method of painting then solvents and mediums become more important as they give you better control over the drying time of the paint. This is not to say you should avoid solvents or mediums when painting in a direct method, but they are not essential. In practice, I often start a painting with thin washes of paint plus solvent to cover the canvas with color, but then I use paint straight from the tube for the rest of the painting. 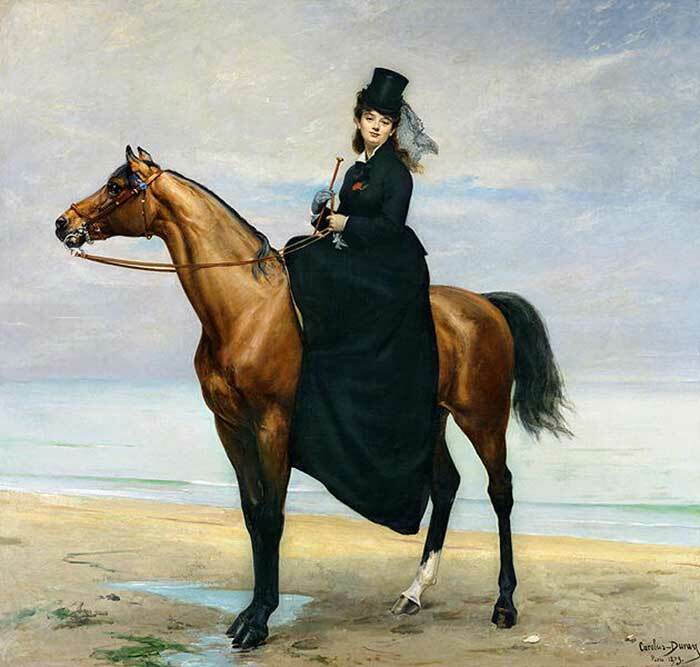 Carolus-Duran was known for using a very direct painting method, though I am not sure if he used solvents or mediums. Interestingly, he taught the great John Singer Sargent. I personally have not used water mixable oils but they are becoming a popular alternative to traditional oils. The idea of water mixable oils is that they handle like traditional oils but can be mixed with water. I will do a separate review of water mixable oils in the near future. If you have used water mixable oils, let me know your thoughts on them. When I started using oils I used turpentine as my solvent. The smell was intense but it worked well at thinning the paint. Back then I was living with my parents and although they were happy to see me pick up painting again, they were not pleased with the toxic smell of the turpentine which flooded the house. Oil painting became much more enjoyable once I moved too odorless solvent. It is not as strong as turpentine, but that does not seem to be an issue. Great post. I use water mixable oils and love them. Sometimes winsor newtons are too thick, so I use their medium or some linseed oil. Lukas Is more consistent, although one I got was too runny. All and all, the smell is less and cleanup is easier. IMHO, easier with plain air. Depends on what you’re used to. Thanks to your tips and tricks, I progress in this field. I can draw, no problem there. But oil painting has a lot of mysteries for me. Without a teacher, or a mentor, it is challenging to learn the medium. You are a the best reference on the web. Thank you! Really glad to here Irene! I really enjoyed reading this as there is so many things to learn.Some times you still miss the reason why things are done and it is nice to understand the different out comes of painting. I am really enjoying your post Dan and love your painting above. Thank you for another very interesting and informative post! I use walnut oil to clean most of the paint out of my brushes, then finish up with odorless turpentine. Also, I have tried the water soluble oils and do not really care for them. The colors just don’t seem as rich and vibrant as regular oils. Perhaps I am not using them properly. Thanks Toni! Interesting about the water mixable oils. That was what I figured but need to test them myself. Hi I love reading your posts! Being new to oil painting I still feel a bit confused when to use linseed oil and when to use a solvent. Is the odorless solvent just used in the beginning to determine lights and darks and then slowly you add more linseed oil less solvent, to thin paints? Or slowly stop with the solvent and don’t use linseed oil? Sorry, help! The answer depends on how you like to paint. I like to start a painting with thin washes, so I use solvent to thin the paint. The solvent also makes it dry faster. After that, I do not use any solvent or medium. The time to use linseed oil would be later in the painting when you want the paint to dry slower. If you want to chat over it more, feel free to email me. Hi, I am fairly new to painting and I use water mixable oils. I look forward to reading your post regarding W.M.Oils in the future. Enjoying your posts and learning along the way. This is an interesting topic. I’ve mostly painted in acrylics because of the solvent hassle with oils. Recently, I began to experiment with water mixable oils and so far it’s been a positive experience. It takes a little time to get used to them and I learned they handle differently depending on the brand. I just have to keep in mind that water mixable oils are NOT water-based paint, but true oil paint with an additive that enables them to mix and be cleaned with water. I’ll look forward to your opinion of this paint, Dan. Thanks for this. As for the request for comments on water mixables… I wanted to paint while on a family visit, to which we flew. So I packed water mixable oils in my checked luggage, and was thus able to paint at my destination without having to worry about solvents. They took a few minutes to get used to, but I enjoyed them and it just felt like painting with oils (which it was!). They also take a while to dry — I tried wrapping my three-day old oil painting (unfinished, thus I wanted to bring it home to finish) in waxed paper, and putting it in my suitcase. Some of the wetter paint stuck to the waxed paper, so I guess that’s not a great idea. Open to suggestions. I can sand that area and repaint but maybe there is a better way to transport.